Real-time view into mine activities. 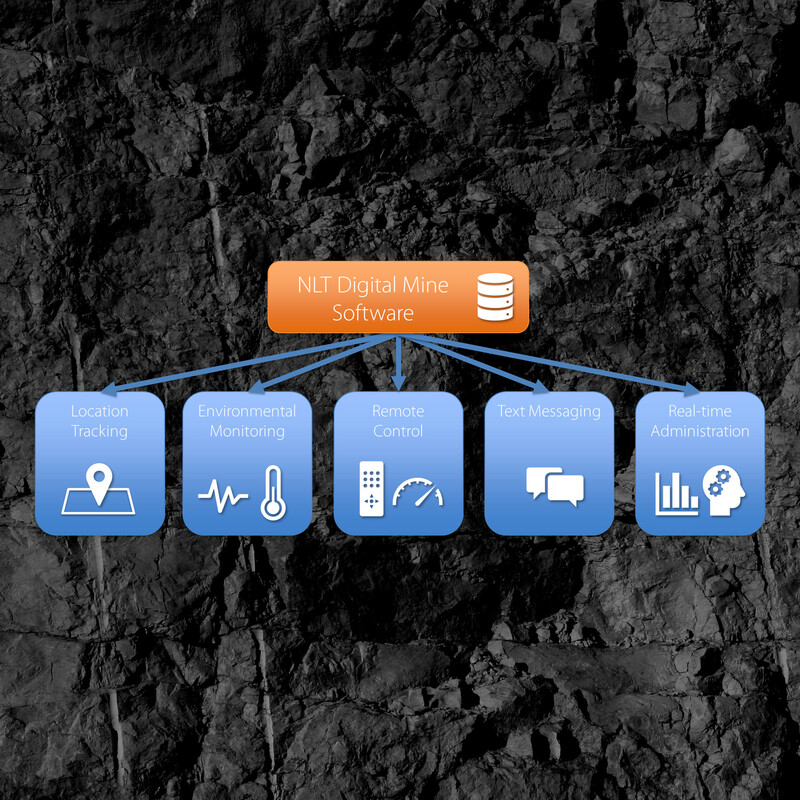 Digital Mine Software (DM6) is NLT’s full suite of live mine monitoring and action tools. Designed to enable safety and productivity, is a fully web-based mining platform solution providing controlled global access to data. Equipment status monitors and system health are easily viewed, while personnel information can be interfaced with other systems, including card access. Any vehicle or tag movement patterns can be monitored, ensuring both the safety and efficiency of your equipment operators. The simple, straightforward interface makes it accessible for any user. Since the data is overlaid on your actual mine plans, reporting is comprehensive and easily navigated. DM6 also integrates with third-party hardware and software to provide increased functionality, with a client-input driven development. 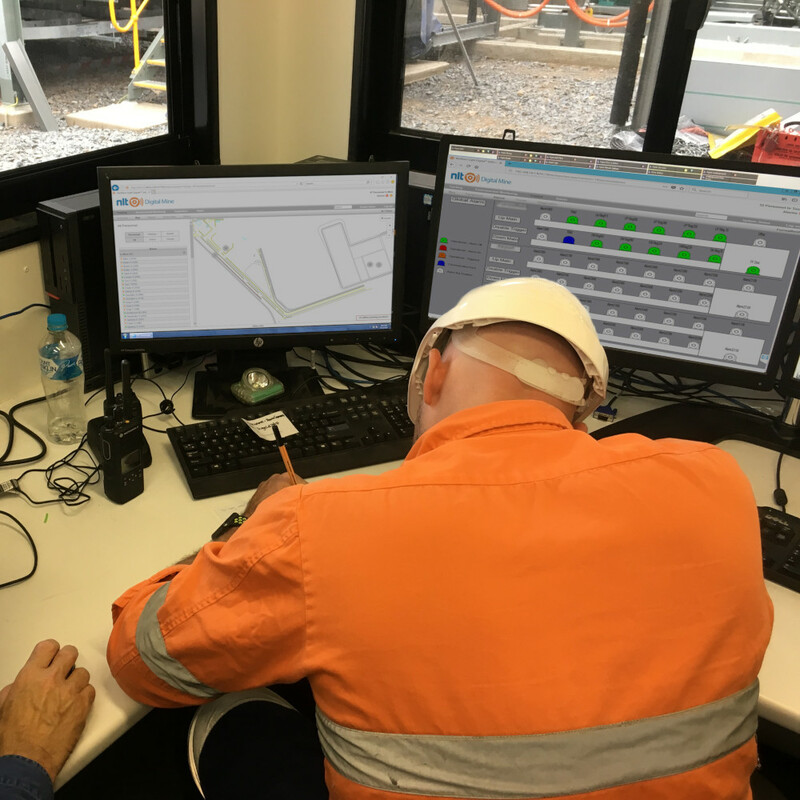 Digital Mine draws on NLT’s award-winning N-Connex industrial networks but is interoperable with third-party equipment. Simple, easy to learn, and intuitive user interface. Map-based interface, overhauled with an easy to use Google Maps style overview to track or locate anything, including environmental monitoring points. The NLT Digital Mine also boasts several cutting-edge applications that increase not only safety, but overall operator productivity. It only takes one click to see where your people or commodities are – and if they’re where they should be. Easy messaging allows you to immediately contact specific zones or crews, and confirm whether they’ve received the message, eliminating the ambiguity of previous communication systems.